issue affecting trust, power and access. It is with great pleasure that I announce the beginnings of the Teaching Folder of the Wittgenstein On Learning website. The Teaching Folder is and will be a special section on the site. Its pages will seek to apply Wittgensteinian principles to practical, balanced teaching techniques and examples. For some visitors, this section might appear to stray away from direct commentary on the philosophy of Ludwig Wittgenstein. This is true. This section will be the one that is the most Wittgensteinian and the least Wittgenstein in nature. 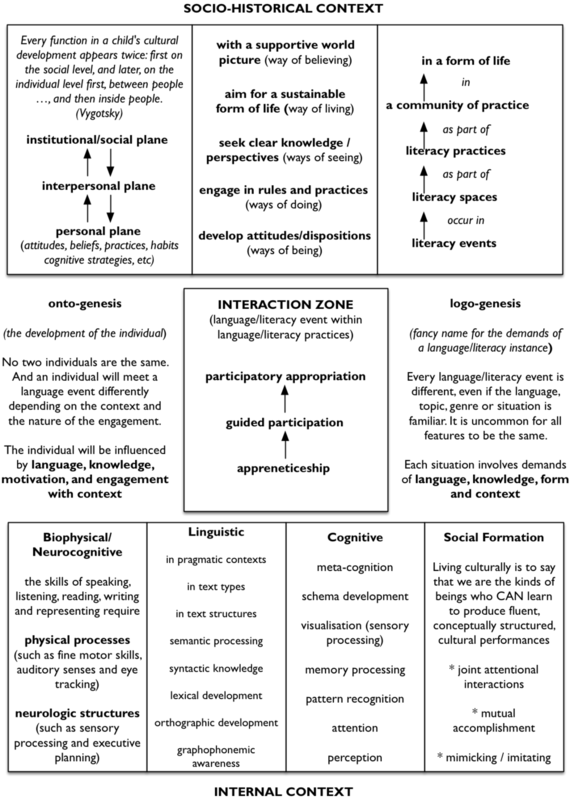 In the Wittgensteinian spirit, it will provide teaching advice, strategies, assessment techniques and examples that meander between cognitive and socio-cultural explanations of learning. The advice will straddle structural and contextual considerations as well as individual and cultural perspectives. Over time, I hope the section will provide visitors with ideas that facilitate rich, meaningful teaching that is multifaceted, developmental and experiential. A few housekeeping tasks have been completed to pave the way. The Topics Folder has been rebadged as the Background Folder, which now includes the Why Wittgenstein? and Initial Notes pages that previously could be found in the Home Folder. The Overview page has been retitled Key Themes and the Essays page has been moved into the Teaching Folder. There is much work that still remains ahead. Visitors will notice how the Balanced Teaching, Planning & Assessment and Example & Case Studies pages are all currently under construction. Nevertheless, the bones of the skeleton are in place and a bit of flesh has already started to take shape. To receive updates, I encourage visitors to select the link below - "Subscribe to the Journal". In the meantime, enjoy and explore!! The following is an updated version of a previous post. The post now includes minor edits as well as two new sections. First, I have provide a list of 10 factors that enhances one's opportunity to learning. This list of 10 factors will be expanding in an upcoming journal post. Second, I have expanded the conclusion by including paraphrase on a related journal entry. Please enjoy and explore. Gaining a command of language and literacy over time is the essential bit. In this, I want to keep things simple. The literacy learner acquires alphabetic knowledge. That is, the individual learns that letters are meant to represent sounds, and that these sounds are combined to form words. These words can come to represent aspects or objects in one's environment, experience or imagination. One is better prepared to break a word down into its sounds (or component parts) if the word is familiar to one. So we have a picture in which objects or concepts in someone's environment or imagination are connected to words uttered by a person which can be broken down into sounds that can be represented by a written system. And this written system is rule-governed. Individuals should be motivated by the desire to represent or convey observations about objects, which requires one to string words together in the form of sentences (or propositions). It is essential that the learner is also able to extract meaning from them, as well. In this case, an individual is motivated to report or narrate or recount, and to interpret reports, narratives, recounts, etc. One can imagine a learning experience in which a finite portion of the language is selected that allows one to learn a portion of particular sound patterns, develop a thematic vocabulary, and use this knowledge to read, write and discuss observations in a particular domain. More advanced language is merely an extension of the earlier practices. In other words, if one develops the cognitive habits of seeking out sounds, understanding how sounds are put/blended together, knowing how words are formed, building a robust vocabulary, forming meaningful expressions, and interpreting expressions with intent, then one is in good place. Josh Kaufman is the author of the The First 20 Hours: Mastering the Toughest Part of Learning Anything. Josh specializes in teaching people from all walks of life how to master practical knowledge and skills. In his talk, he shares how having his first child inspired him to approach learning in a whole new way. A range of new terms have been added to the glossaries of Wittgenstein On Learning, particularly in the general, aspect seeing, practices and language glossaries. PRACTICES GLOSSARY - bootstrapping, expertise, ill-structured tasks and inclination. Recently, I have found myself seeking to justify literacy. You would be right to think it is silly that one would need to justify such a thing. Nevertheless, there is a part of me that hears a voice that repeatedly asks, "what's all this fuss about literacy?" And I found that many of my responses were inadequate. I would respond with, "it is a vital skill in today's workforce" or "with literacy one can explore the world of the imagination" or "literacy is central to learning." And the voice would respond with quite reasonable objections. One can learn skills without literacy. One can convey information through the spoken word and through visual representations. One can be apprenticed by a thorough and patient master who shows us the ropes of what needs to be done. "I can get by without learning to read ... I'm a car mechanic, and I have a cousin whose always up to date. He tells me and shows me what I need to know. Sure, he can read ... He stays up-to-date with all the new technology. That's how he works. But me, I'm hands on. I need to be hands on to learn. Give me an instruction manual, and it's all gibberish to me." In practice, so much of our knowledge is transmitted through the written word. This is not to say that the written word is all that is required to understand a topic, such as medicine or auto mechanics. One still requires experts to demonstrate skills. One still requires teachers to ask the right questions and to prompt our thoughts. One still requires certain experiences to have the background knowledge that will be necessary to make sense of what one reads (to apply what one reads). Despite all this, if one is not able to read, then one is restricted in the ability to extend that knowledge. To build an extensive understanding one needs quality teachers, enabling experiences, and the ability to further one's understanding. One needs the ability to source information, read it, understand it, critique it and put it into practice. 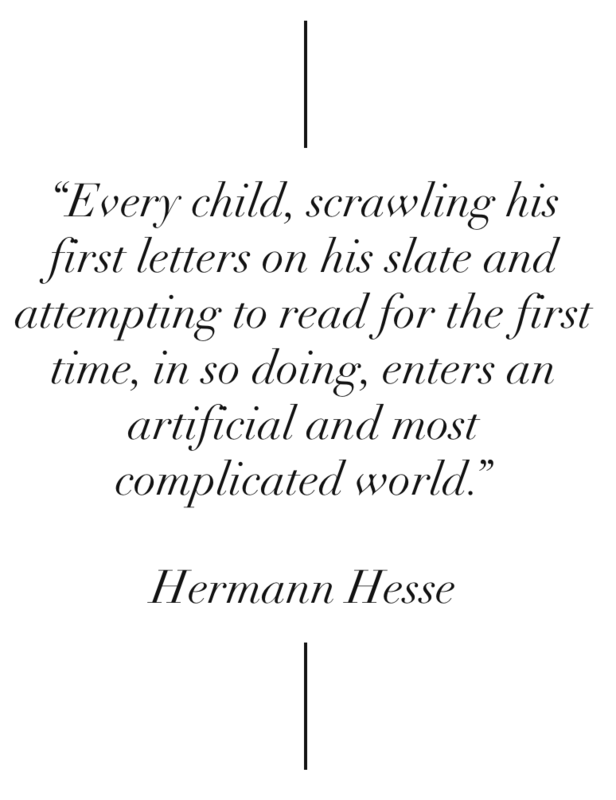 Reading is not the key to learning. Good teaching, quality experiences and passion & purpose are the necessary keys. Reading and writing are the vital multipliers. They can help quicken the pace at which one learns. Why? Because we transmit so much our knowledge through the written word.